Da Capo Press, 9780306818905, 288pp. On the night of July 19, AD 64, a fire began beneath the stands of Rome's great stadium, the Circus Maximus. For more than a week the fire spread, engulfing most of the city and nearly burning it to the ground. With its capital in ruins, Rome's powerful empire teetered on the edge of collapse as Nero struggled desperately to save his empire...and his skin. 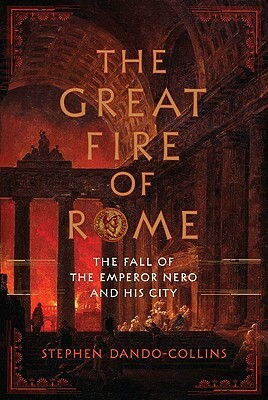 In The Great Fire of Rome, Dando-Collins takes readers through the streets of ancient Rome, where unrest simmers, and into the imperial palace, where political intrigue seethes, relating a pot-boiler story filled with fascinating historical characters who will determine the course of an empire. It is an unforgettable human drama that brings ancient Rome and the momentous events of 64 AD scorchingly to life. Stephen Dando-Collins is an Australian-born historian, editor, and author. He has written several highly acclaimed nonfiction books, including Caesar's Legion and Tycoon's War. He lives in Tasmania. Curled Up with a Good Book, 7/4/11 “A vivid portrait of ancient Rome that is sure to fascinate readers and anyone with an interest in history…Roman civilization comes to life throughout…Skilled writing…Well-researched."